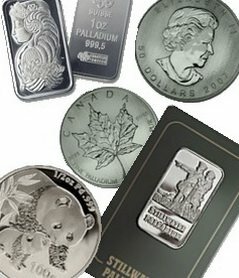 Rhodium Coins: Rhodium Bullion Coins Are Here! 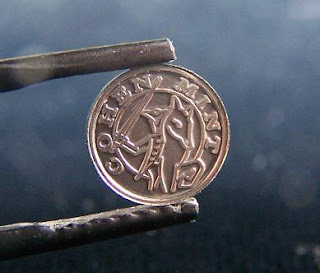 The mint is named Cohen and many of their coins are the smallest in the world. They make 1 gram palladium, 1 gram platinum, and even troy grain size coins, which are even smaller than a gram. I know the owner of the mint personally and have commented before that rhodium bars or rhodium coins will be coming soon. In that post I purposely didn't mention that Cohen was the mint I was referring to because I had somewhat "insider information." However, now, the world may know! When Will Rhodium Bullion Coins Be Available? As mentioned in the list above, late spring to early summer. Rhodium Bar Price: How Much Will A Rhodium Coin Cost? Like I said, I don't think the company could profit if they only sold for double the spot price. These will be VERY expensive. I'll explain more when I have one in-hand! I would invest in Rhodium regularly if the margin over spot wasn't soo large. I would be more likely to purchase a standardized secure bag of Rhodium powder than hand over a 100% margin to Cohen.